This product is made by decocting the roots of Korean doraji that has been grown for over 21 years under carefully maintained natural conditions. It is a safe, edible root extract that can be consumed regardless of one’s age and physical constitution. It has also been developed based on research findings that were analyzed for more than 10 years. It is a reliable product that has been produced sanitarily under the strict process management system of ISO 22000 for international food safety standards and aircraft production system. 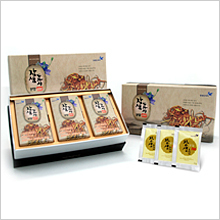 It is a Korean Doraji root powder that has been grown for over 21 years under carefully maintained natural conditions. It is a safe, edible product that can be taken regardless of one’s age and physical constitution. It has also been developed based on research findings that were analyzed for more than 10 years. It is a globulus made from 21-year-old Doraji root concentrate and powder. It is easy to carry around and is made from Korean Doraji that has been grown for over 21 years under carefully maintained natural conditions. It is a safe, edible food that can be eaten regardless of one’s age and physical constitution. It has also been developed based on research findings that were analyzed for more than 10 years. It is a reliable product produced sanitarily under the strict process management system of ISO 22000 for international food safety standards and aircraft production system. 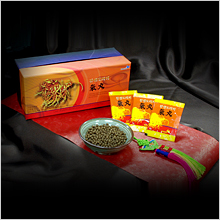 It is a candy that promotes the health of our respiratory system, specifically to those whose job requires talking a lot and to those who are exposed to polluted air. 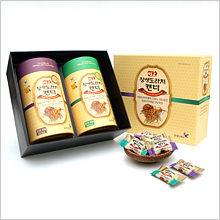 It is made from Korean Doraji root powder and concentrate that had been grown for over 21 years under carefully maintained natural conditions. It was developed through our industry-university collaborative research with the Food Biotechno Center of the International University of Korea. 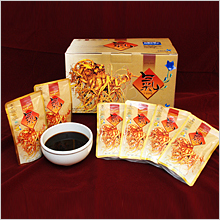 It has a strong flavor that is recommended for men and seniors, and also has a mild flavor that is recommended for women and children.